“In April 1969, Intel introduced its first product: the 3101 static random access memory. Intel had begun operations less than a year earlier, in August 1968. At first, the company dedicated itself wholly to research and development, wanting to make the most of its fresh start and develop new technologies instead of just replicating old ones. To develop a product as quickly as possible, the company had pursued three technologies at once: bipolar memory, a product that used established technology but was hard to develop; silicon gate metal-oxide semiconductor memory, which could revolutionize chipmaking but needed to be invented first; and multichip memory, in which four small memory chips were linked together to create a device that was bulky and fragile but cheap. Whichever device proved its viability the fastest would become Intel’s first product. The winner turned out to be the bipolar memory, the 64-bit 3101, a product whose speed in development was a victory in itself. Honeywell Inc. had announced a readiness to purchase 64-bit SRAMs from any company that made them, trigging a competition among memory manufacturers. As a new company, Intel started at the back of the pack. In trying to develop a product that was faster and more powerful than its competitors’, Intel was placing a wager that it could conquer the standard obstacles more quickly than conventional wisdom thought possible — and do so while facing all the additional problems that came with building a semiconductor fabrication operation from scratch. Bipolar memory used established technology. Competitors who took comfort in that fact would not have that consolation for long. Intel’s next product, the 1101 SRAM, would be a far bigger milestone in the history of technology. 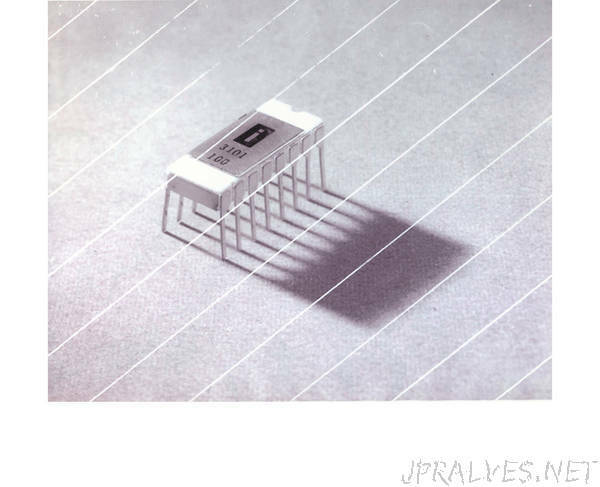 Released later in 1969, the 1101 was the first commercial chip to use a metal-oxide semiconductor process and rely on silicon gates rather than metal. It changed semiconductor technology forever while establishing an important revenue stream for Intel. Between the two devices, the 3101 and the 1101, Intel had established in its first year that it could outperform competitors in improving established technologies while also beating them to the development of long-sought breakthroughs.